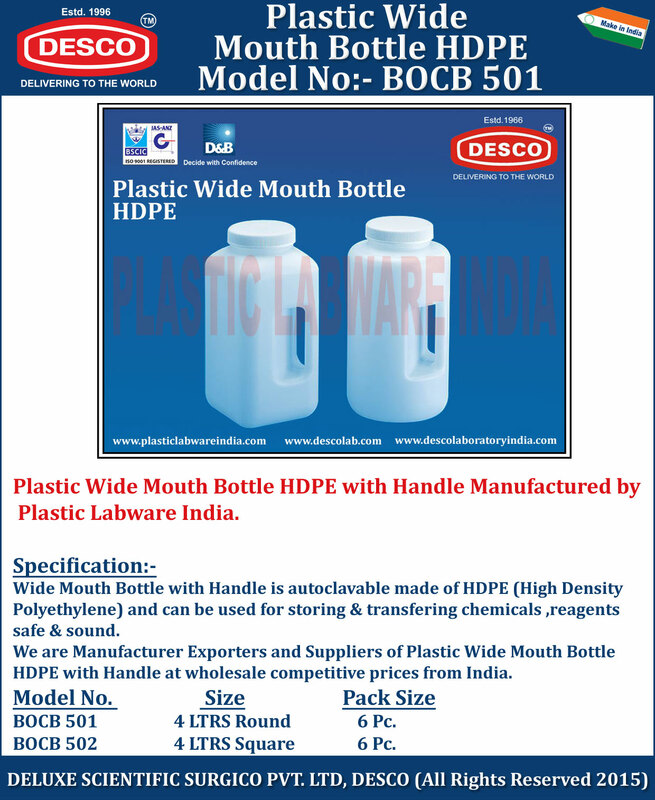 Wide Mouth Bottle with Handle is autoclavable made of HDPE (High Density Polyethylene) and can be used for storing & transfering chemicals ,reagents safe & sound. We are Manufacturer Exporters and Suppliers of Plastic Wide Mouth Bottle HDPE with Handle at wholesale competitive prices from India. BOCB 501 4 LTRS Round 6 Pc. BOCB 502 4 LTRS Square 6 Pc.